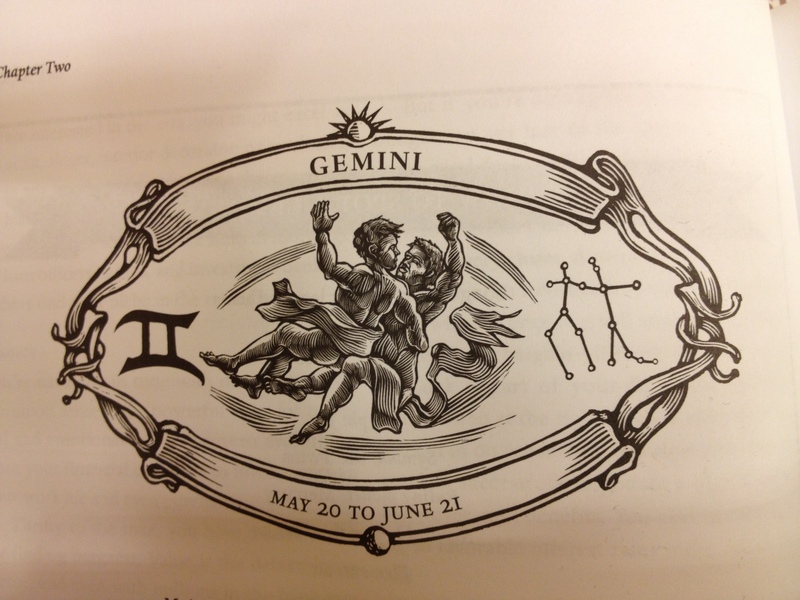 Bodacious Business Horoscopes: Gregarious Gemini! 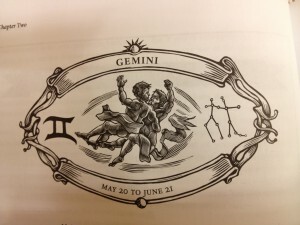 My “Bodacious Business Horoscopes” series comes to a merciful halt with the zodiac’s dual-tracked, in-house charm consultant, Gemini (the Twins). This high-octane communicator talks circles around all the other sun signs from May 20/21 to June 20/21. Do you know someone who could attend a job interview partially prepared and come out on the other side with a firm offer (and a starting salary higher than anticipated)? That very special lady or gentleman is most likely a Gemini. Disclaimer: This post is a parody of Western astrology. By All Writes isn’t responsible for any double-dealing regarding that huge contract your company just secured as a result of this month’s profile about the Geminis on your payroll. Gemini Is the Zodiac’s Mutable Air Sign–Here’s What It Means for Your Business: Air combined with mutability equals an independent, adaptable person in search of the next great enlightenment. It’s hard to (mentally) pin down a Gemini! A Gemini’s Dual Nature Means You’re Working with Director Jekyll AND Manager Hyde: In the workplace, a Gemini pools viewpoints, moving quickly and adjusting as necessary to support (or reject) a project/initiative. Be forewarned–you may not know which “Twin” will show up for a meeting or conference call. Geminis love to talk, but that doesn’t ensure they mean everything they say. I bet “smooth operators” from Hollywood’s Golden Age like Errol Flynn and Tony Curtis as well as free-spirited dancer Isadora Duncan were all Geminis. Best gifts for your “dynamic duo” guys and gals at work include: Rosetta Stone software, a custom emoji, an oxygen tank (for continuous, uninterrupted conversation), anything travel-oriented in yellow or orange, and multiple library cards. With a voracious appetite for knowledge, Geminis are idea-generating machines. They quickly filter and respond to client feedback with a quicksilver thought or suggestion. Your Geminis’ most positive traits: entertaining and charming (d’oh! ), curious knowledge-seeker, versatile, quick, youthful, inventive, open-minded. When Working with a Restless Gemini, Check Your Email Often: All zodiac signs have their negative traits, and Gemini is no exception. Because these people are DBA “the Twins,” it’s doubly hard to keep up with their verbal misadventures. Outwardly, Geminis exude a confidence most people don’t acquire until firm adulthood. It’s why they can soothe the most irate client with a few well-phrased bon mots. But the inward Gemini is a turbulent soul, contradicting him or herself at the exact moment you think you’ve reached agreement. Less-than-stellar traits associated with Twins: restless and easily bored, can be impatient and irritable, they enjoy gossip, unpredictable duality, unwilling to commit, can be manipulative and immature. Any Profession Requiring Rapid Thinking Is a Gemini’s Dream Job: True to the Twins’ persona, these folks have a split personality regarding career choices. Witty and inquisitive, Geminis excel at communication. You’ll find them talking up a storm in PR, sales, teaching, writing, and media-related jobs. In addition to their quick, calculating minds, Twins also demonstrate physical dexterity. Some of them pursue medical or research careers; others evolve into artists or musicians. A Completely Speculative Business Interpretation of Gemini’s Astral Assets: Here’s something you don’t see every day–a business interpretation of a zodiac sign’s ruling planet, lucky day, lucky numbers, and primary colors. Final Snide Commentary on Gemini by the Author of Born on a Rotten Day: Leave it to snarky astrologer Hazel Dixon-Cooper to inspire me to end this blog series with a quote from 2016’s Gemini of the year: Donald J. Trump. Does Gemini rule your birthdate? If so, did this profile trigger any double-palmed memes inside your head regarding accuracy? What other interpretive traits would you add to this zodiac sign from a business perspective? Is this your first time reading a “Bodacious Business Horoscopes” blog post, but you’re not a Gemini? Your astrological profile awaits you in the By All Writes archives. Twelve zodiac signs equals twelve bodacious blog posts–one year’s worth of a blog series, dutifully fulfilled. Bodacious Business Horoscopes: Audacious Aries! Bodacious Business Horoscopes: Perceptive Pisces! Bodacious Business Horoscopes: Aeronautical Aquarius! Bodacious Business Horoscopes: Languorous Libra! Bodacious Business Horoscopes: Vocal Virgo!